Anna Healy -- Gary took my brother's senior pictures and my senior pictures. We absolutely loved the finished product for both! His pictures are fun and reflective of those that he works with. Beyond that Gary is one of the most fun photographers that our family has worked with. I think that it is impossible resist smiling when getting a picture taken with Gary. His attention to customer service and detail is evident in all of the little things he does from posting a preview to delivering pictures in a book that can last a lifetime. 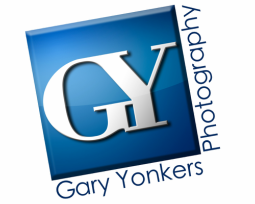 I highly recommend Gary Yonkers Photography to anyone who is looking for a high quality experience! Nick Vandewalker -- Gary photographed my Senior pictures in the fall of 2014 and they came out excellent. He's very personable and related very well. He's open to any and all ideas and his photography skills are more than impressive. His extensive portfolio perfectly illustrates how talented he is and I was very pleased with all of my pictures. He gives good direction and allows you to have your own personality within the pictures while still having his own signature touch to mesh together a very nice portrayal of client and photographer. I HIGHLY recommend Gary Yonkers for any occasion and would definitely use his talents again. Kirsta Roskam -- Gary shot our wedding and engagement photos and we couldn't be happier! He truly knows his craft, and has an amazing eye for detail, not to mention he makes you feel at ease in front of the camera. His jokes definitely helped me relax. Gary got gorgeous shots of not only all of the big moments, but all of the little details that it's easy to overlook in the hustle of a busy day. I couldn't be happier with how our photos turned out. My only complaint is that there are so many good ones that I can't decide which to frame! Sarah Elizabeth Pernie -- Gary is our go to photographer for family photos! He works well with our older kids as well as energetic little ones. We are looking forward to a winter family photo with Gary in the next few months. Sue Boston Arnold -- Gary has done my daughters pictures, my grandchild's pictures and my dogs pictures! They were fabulous! Great pictures and pricing! I would highly recommend him for any photos you need taken! Amy Gillette -- Gary is an amazing photographer. Not only is he creative he is so easy to work with. I always knew he was the best throughout all of our senior and family pictures, but when I really knew how fantastic Gary was when he did my daughter's wedding. It was the most important day of her life and he was there for every second of it. All of our guests commented on how great he was and how he took the time to capture all of the important moments. And to top it off his son helps him and does a great job. I would recommend Gary for any event that you have. He is definitely the best! Teresa Carr -- Thank You Gary for the memories!! Gary has been our photographer for all our families special moments in life. From early childhood photos, weddings, graduation, engagement and yes even a tribute of numerous photos of our dad/grandfather who passed away. And another soon to be wedding. He is so easy to work with and has great ideas. I highly recommend Gary for all those special moments.